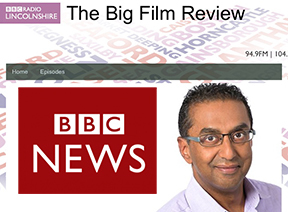 Recently I was interviewed on The Big Film Review, a show hosted by Sudip Bhaduri on the BBC Lincolnshire. I met him through a mutual friend of ours, the talented author and ever-gracious Lynette Creswell. Sudip is articulate and intelligent, and our conversation felt as if we were having it at the local pub over a pint of stout rather than in front of a radio audience an ocean away. Unfortunately, my fifteen minutes of fame went faster than I thought they would and things were left unsaid. In particular, Sudip and I had earlier discussed the current state of Hollywood and the movie industry, so I thought I’d take the opportunity now to work these thoughts into this month’s blog. No doubt movies like Mission Impossible 5 are gong to make a lot of money. However, I find it typical of Hollywood’s current mindset in that they are trying to cater to two audiences: baby boomers who grew up watching the old TV show, and young people with its fast action and blow-‘em-ups. Furthermore, they continue to underestimate (insult) the moviegoer’s attention span through the overuse of gadgets and special effects as well as the barrage of movies based on comic books. Hollywood may well be in danger of marginalizing itself if they continue to stick to this formula. For quite some time now they’ve been willing to sacrifice characterization and well-developed plots for action-adventure and computer generated magic. So far audiences have been willing go to the big screen to see this, but as the cost of home entertainment centers comes down, staying in will certainly become more popular. Why go out if you can get the same effect at home? Add to it that tickets aren’t cheap and revenue is down, movie houses may go the way of drive-in theaters, which have all but vanished, especially since films already have to compete with HBO, Showtime and AMC on cable. If Hollywood insists on continually remaking the old—Mission Impossible and Mad Max are good examples—instead of trying to innovate, we may well be watching the Hollywood Network on cable in the future. And I wouldn’t be surprised to see it competing with the Indie Movie channel or maybe some independent movie/coffee houses showing films such as The Doo Dah Man that have more than half an hour’s worth of dialogue. Do I think all is lost in Hollywood? No, but we need more films like Whiplash, Black Swan, Juno, and Nightcrawler. 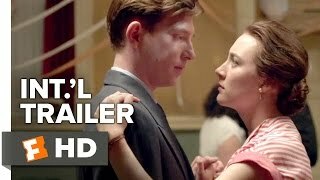 And I’m heartened to see that Colm Toibin’s novel Brooklyn has been made into a movie, due out in November. So Sudip, if you’re out there, here are some of my thoughts on Hollywood that you may have been looking for earlier. Best wishes from Texas and see you at the movies! Personally, I couldn’t disagree with you more. I prefer my movies to be like MI:5 and Mad Max and my books to be like Juno. I have not had the desire to see a non-action blockbuster film in I don’t know how long. The last ones I remember enjoying are Chocolat and As Good As It Gets. I almost went to see The Judge last year but passed. I may catch it on TV if it ever makes the rounds. To each his own! If you want your movies as escapism, more power to you. I like my books to be like Juno . . . Character driven and as art! Thanks for your comment.